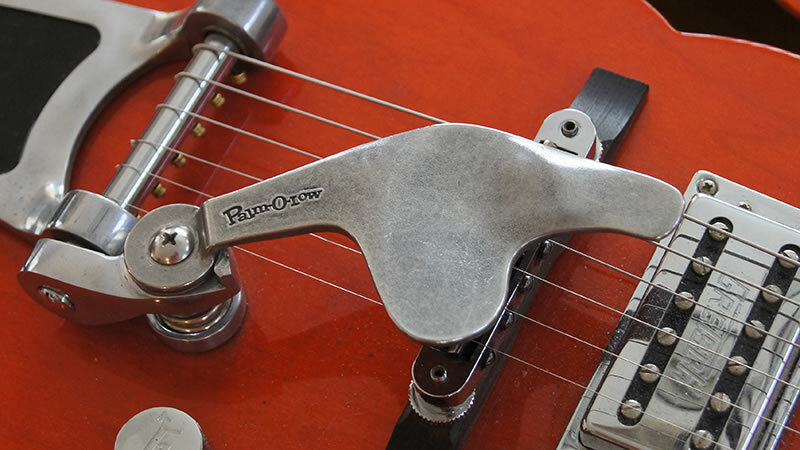 While there have been numerous changes and improvements with tremolo bridge systems over the years, the tremolo arm itself has remained largely unimproved until now. What makes the Palm-O-Low unique is that it rests under your hand, allowing you to add vibrato, while at the same time continuing to strum, pluck and finger pick. Its ergonomic shape allows it to be grabbed and pulled in new ways for many more playing options. Palm-O-Low is now available at the discounted, introductory price of $39.95 and comes with a full 60-day, money-back guarantee. It’s easy to install and is made in the USA from high-quality stainless steel. A demo video can be viewed at: https://youtu.be/0DRTPBiZaPY. The new Palm-O-Low can be purchased direct from the Tremolution website at http://www.tremolution.com. Coming soon from Tremolution is the Trem-O-dapter, a versatile bridge adapter that quickly attaches to vintage style bridges and creates a mounting platform for a variety of tremolo arms, including the Palm-O-Low. Preview the Trem-O-dapter demo video at http://youtu.be/rGBRxXuX3KE.